Hi! My name is Jaime and I am addicted to sewing. 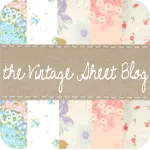 I have an insane amount of fabrics and ideas and not much time to do anything with them 🙂 This blog is here to document all the crafty things I do and show the things I love. wow Jaime- i’m in awe of your incredible talent. i am an aspiring crafter. i am teaching myself how to sew, and i love to crochet! i had a baby last summer so it’s been soooo hard to have the time to get anything done. i have made diapers though! do you make your own patterns? i love making baby stuff for friends- i’m going to attempt the pod this week! any other patterns or links to patterns that you use i would love to peek at! I am hoping to post a bib pattern and tutorial soon so keep checking back 🙂 Thanks! couldn´t find your mail adress. please contact me bc you won my sew mama sew giveaway price!! thank you, thank you, thank you for my little package!!! i was so surprised and thrilled. that was incredibly thoughtful. can’t wait to use them soon!!!!! i have a business proposition to make you. can you email me when you have a moment??? I just came across your blog and I think your crafts are amazing! Thanks for following us on Twitter! Just wanted to let you know that I have awarded you a Liebster award on my blog today (as your blog is so inspiring). A little award to support each others’ up-and-coming blogs. Hi Jaime. Your tutorial on burp cloths is sensational. I had so much fun making them, and your directions were clear and concise. Thank you! I have nominated you for the Versatile Blog Award. Thanks for being one of the awesome blogs that i enjoy reading! I found your blog via someone’s pin on Pinterest. It took me awhile to figure out how to get to the home page (I was on a 2010 page). But I found it! You are quite creative and talented. Thanks for your lovely self! Hi Jaime. I just love your blog (I found you on Pinterest). I am so inspired by everything you have posted. Sewing has become a new love of mine, but I still have a lot to learn. I have a question for you: I am in need of a new sewing machine. What would you recommend? I have been using my mom’s but it’s time for one of my own.